Far Infrared is a fairly recent technology, and as such people have a lot of questions. Here we are going to answer as many as we can. If you have any questions we have not covered, or would like to discuss your requirements with one of us, please call us. Infrared panels work through far infrared radiation, which means that they heat the fabric of the building, rather than the air it contains. This is what makes them so different from traditional convection heaters. 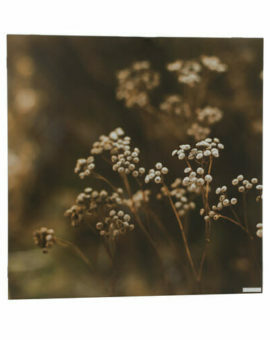 They provide powerful heating that is not lost through draughts and is far cheaper than other types of electric heating. Infrared is a great option for those without access to mains gas, and also as cheap supplementary heating in any home. Please take a look at our guide to infrared here. Yes – completely. Far infrared radiation is the same heat as is given off by the sun, but without the harmful UV rays. Its gentle, comfortable heat is even used to heat babies’ incubators. In fact, infrared is a healthy form of heating. It is great for allergy sufferers because they do not move dust around the room like a convection heater and it helps reduce damp and mould. Why is infrared heating efficient? As with all types of electric heating, infrared is 100% efficient. Every unit your pay for will come out as heat. However, traditional heating solutions work by heating air, which in turn heats you. Infrared differs from electric fan heaters in that it heats walls, ceilings, floors and furniture directly (as well as you), rather than air. Warm air quickly escapes through draughts, but warm walls stay warm for a long time! Cutting out the second energy transfer makes infrared more efficient. Another thing that makes infrared more efficient than other forms of electric heating, such as storage heaters, is that they do not have to power fans to disperse heat around the room. Infrared panels have a thin, tightly-coiled heating element evenly distributed across the inside. They only need to be heated to the relatively low temperature of 90°C in order to work efficiently. The temperature output is the same as other electric heaters with a fraction of the energy input. Heating is the main contributor to household bills, so infrared’s lower running costs can save you a considerable amount of money. We should point out however that gas central heating is still a great option because the cost of a unit of gas is much cheaper than electricity. We thoroughly recommend infrared both as a main heating system in off-gas-grid properties, and as an additional heating system in gas heated properties. 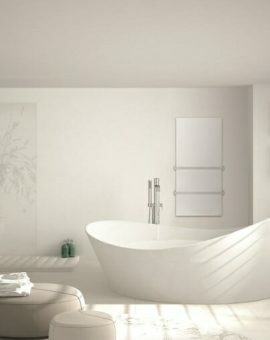 Infrared is great for those difficult to heat areas in the home, cold spots, damp areas and in bathrooms. Can infrared panels cause burns? 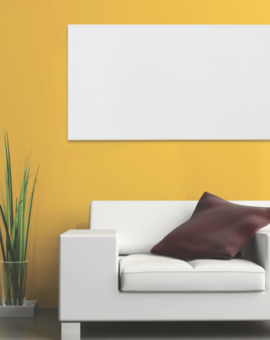 Just like any other heater, infrared panels are hot to the touch. You should not sustain contact with them for a couple of seconds, but they won’t burn you if you brush past! The panels should operate at a temperature of 90°C. We recommend that panels are mounted on the ceiling, or high up the wall. This is to ensure maximum efficiency, but will have the added benefit of keeping them out of reach of children and pets. No. Near infrared heaters (i.e. patio heaters outside bars) glow orange. 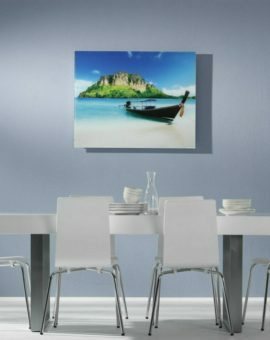 Infrared panels work via a different (more efficient) kind of radiation at the other end of the infrared spectrum, which is absorbed much more easily by the human body. We would definitely recommend getting expert help in sizing your infrared heating requirements. The wattage you need won’t be as high as that of whatever heating system you have at the moment, so it is not as simple as a straight substitution. If you provide the height, width and length measurements of each room, as well as the approximate age of the building, we will calculate the wattage you need, and the best panels to achieve room-wide coverage. Use our handy online calculator and get an instant quote on what you need for your home. 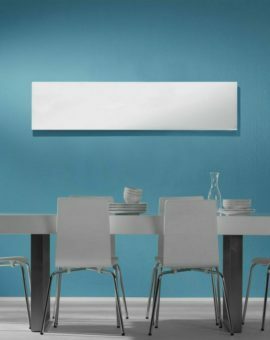 Do infrared heating panels need servicing or maintaining? No – and this is another thing that makes them an affordable option. Just make sure they are installed by a good electrician, and give them a wipe from time to time with a soft, dry cloth. 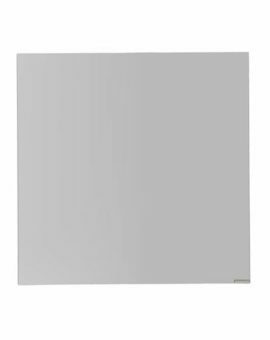 Are infrared heating panels suitable for bathrooms? Herschel panels are CE-marked and completely safe for use in bathrooms. In fact, they’re a particularly good option for heating bathrooms because in warming the walls, they help prevent condensation and damp. 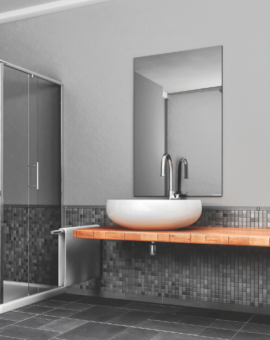 Our most popular bathroom heating solutions are the mirror panel (which doesn’t steam up) and the heated towel rail. How can I control infrared heaters? Infrared heaters need to be wired into the mains circuit and controlled by a thermostat. This gives you proper control for full efficiency. See details here. Where should I install the heaters? 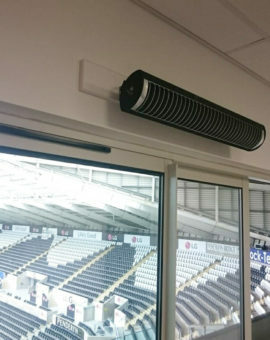 Because infrared heats surfaces rather than the air around them, the panels can be fitted on the ceiling or walls to provide heat to the surfaces in the room. Mould can be a big problem in the home and is caused by a build up of damp on the walls or ceiling. Infrared directly heats the surface where the damp is occurring, lifting the moisture off the surface and keeping it dry. This will prevent mould build up and keep you walls looking clean! Herschel ‘Select’ panels are designed by Herschel and manufactured in China to strict international regulations. Our premium Herschel ‘Inspire’ range is manufactured in Germany. We back all of our panels with extended warranties as part of the price. The ‘Select’ range has a 5 year warranty, whilst the ‘Inspire’ panels come with a 10 year warranty. That is tough to beat! Both products are produced to an exceptionally high quality. 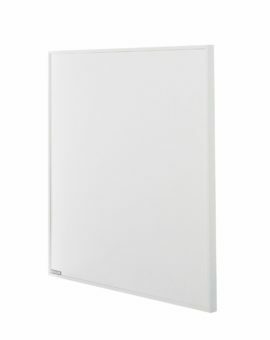 We sell Herschel Infrared panels at ultra competitive prices. We will aim to match any other retailer on the market selling these top quality panels. If you have a better offer elsewhere, let us know and we will see what we can do. You can return your panel for a full refund should you not be happy with our product. You must return the item undamaged and with original packaging within 30 days. We cannot unfortunately cover the cost of postage. This policy excludes custom made panels like our picture panel range and the Inspire coloured glass panels. We cannot offer refunds on these products unless there is a fault.